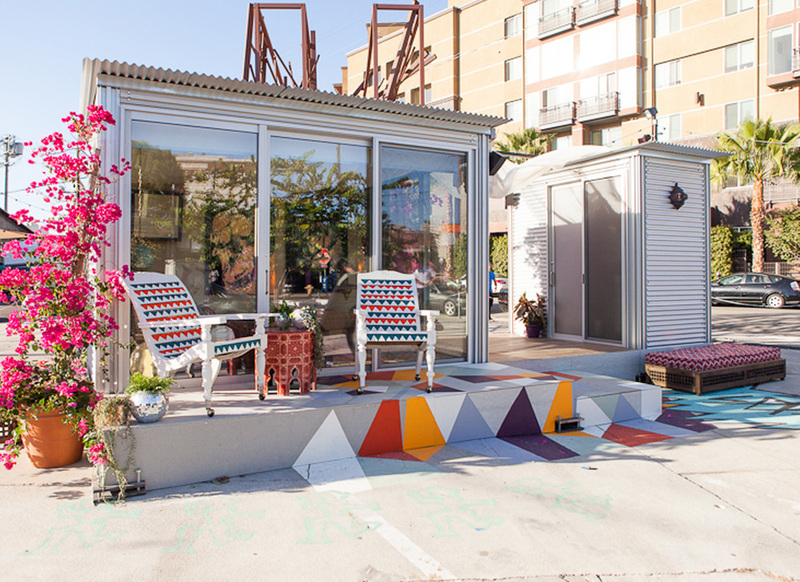 I designed a pop-up home for AirBnB in the middle of the Downtown L.A. Arts District. 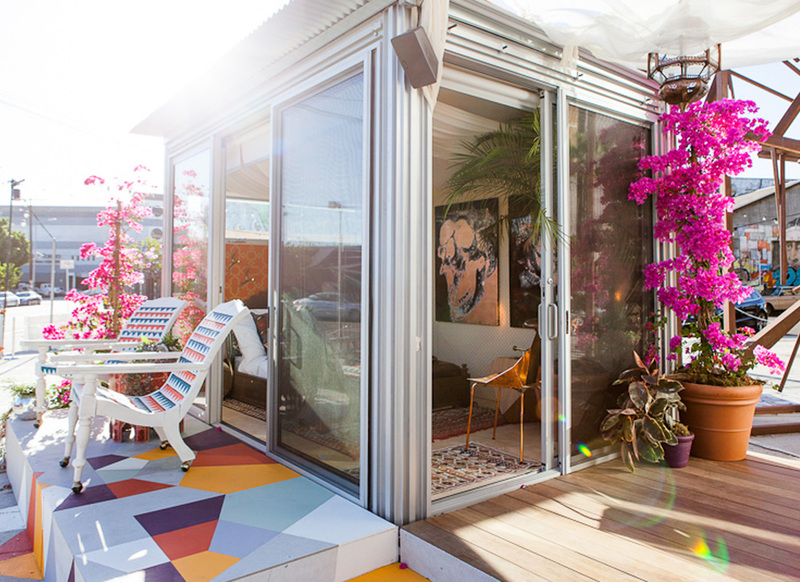 It was designed with actress Lake Bell in mind, and I also had to take into consideration of the location and a short three-week time frame. 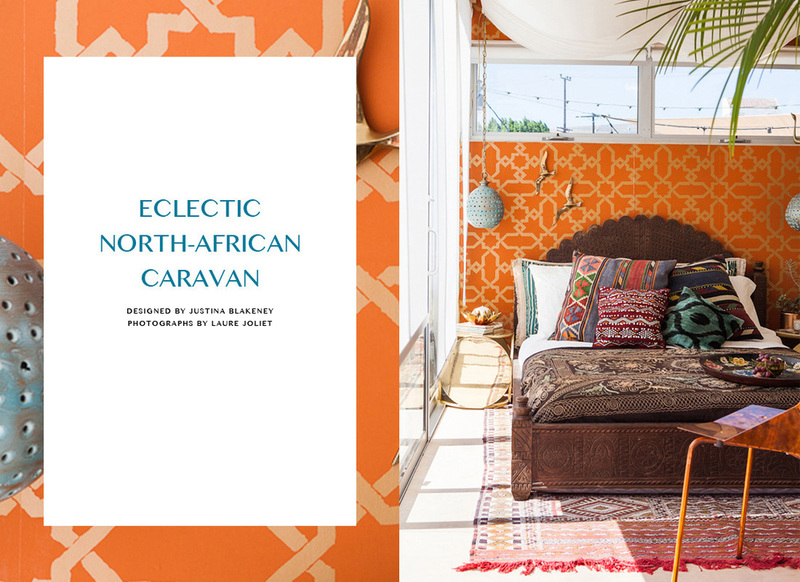 The vibe: Eclectic North-African caravan goes on vacation in the Arts District. The space features mixed metallics as a nod to the industrial nature of the area. The large King Palm Tree–a plant super prevalent in both Morocco and L.A. is used here to bridge the Moroccan flavor of the design with the L.A location. The airy fabric draped overhead is meant to create intimacy and warmth in the space. 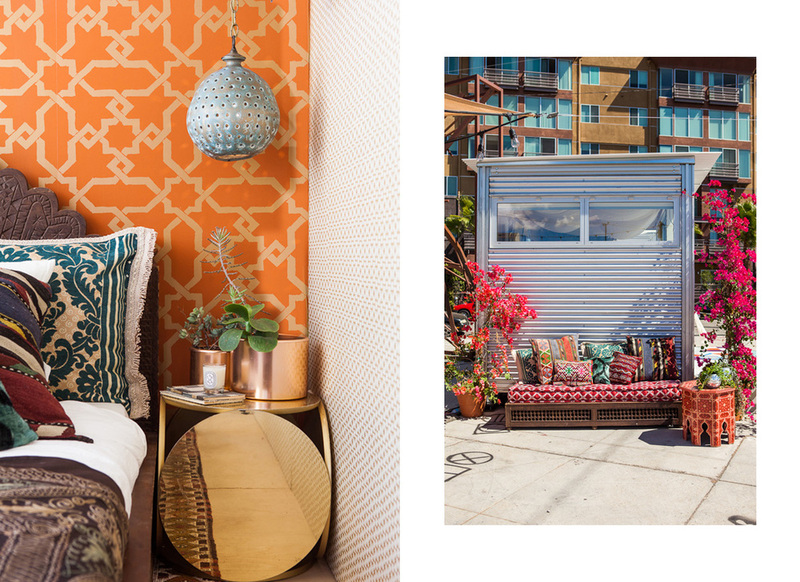 The pop-up home reflects an eclectic mix of cultures and eras, materials and patterns, all meant to converge to create a little exotic oasis in the heart of the most effervescent area of Los Angeles.